Why should I choose you over another company for my Cabo fishing charter? We get that question a lot. Well, probably best to let our fishermen speak for us on that one. 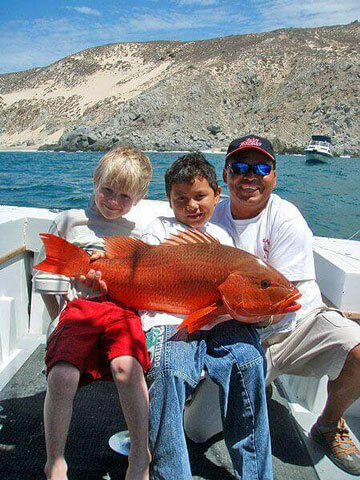 Here are some of the things they're saying about their sportfishing trips with Cabo Fishing. Robert and fellow fishermen Robert Crismond, his wife Kristen Crismond, and Roxanne Crismond were in Cabo for Sammy Hagar's Birthday Bash at Cabo Wabo, and decided to try their hand at Cabo's fishing scene. Their trip landed them 7 huge Dorado in addition to this monster marlin! Not bad for "giving it a shot"! Welcome to Cabo, guys! 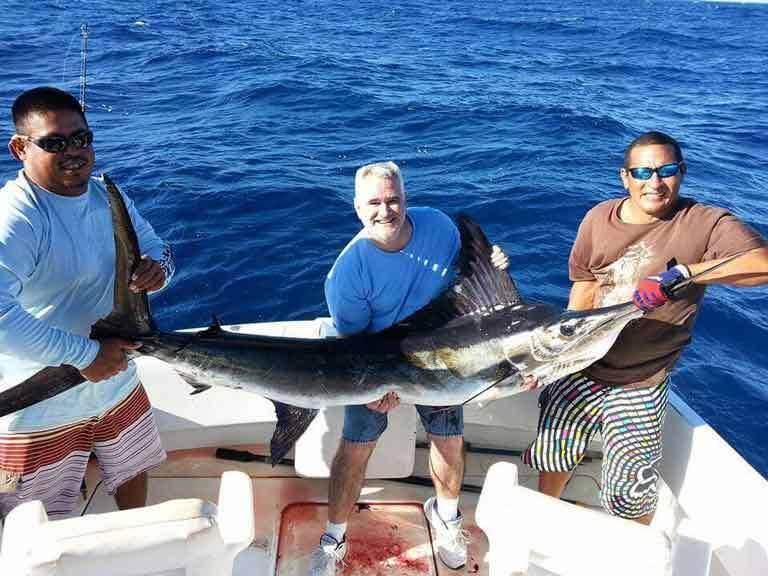 Scott and his kids made fly fishing with us the centerpiece of their fishing trip in Cabo San Lucas, and had great success! Scott says "It's a trip my youngest talks about every day, and will stay with him for a lifetime. Juan and Roberto are for sure two of the best captains I've fished with. 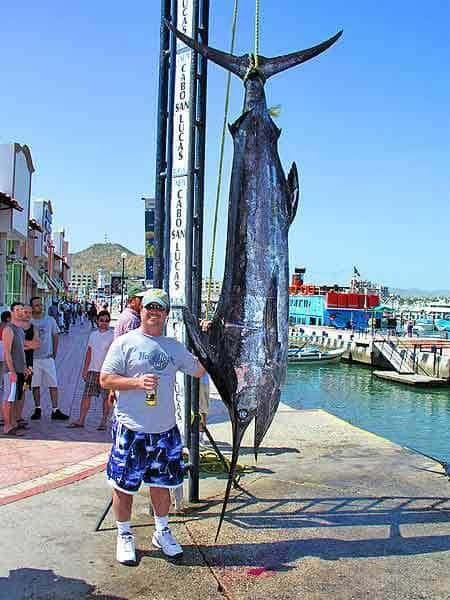 I've fished Cabo for 16 years, and had my most memorable times with Cabo Fishing!". Two Marlin Day....And Then Some! Tim and friends really rocked it this day, with two great marlin catches and some huge dorado. Tim says "We had a blast fishing on the Miranda. 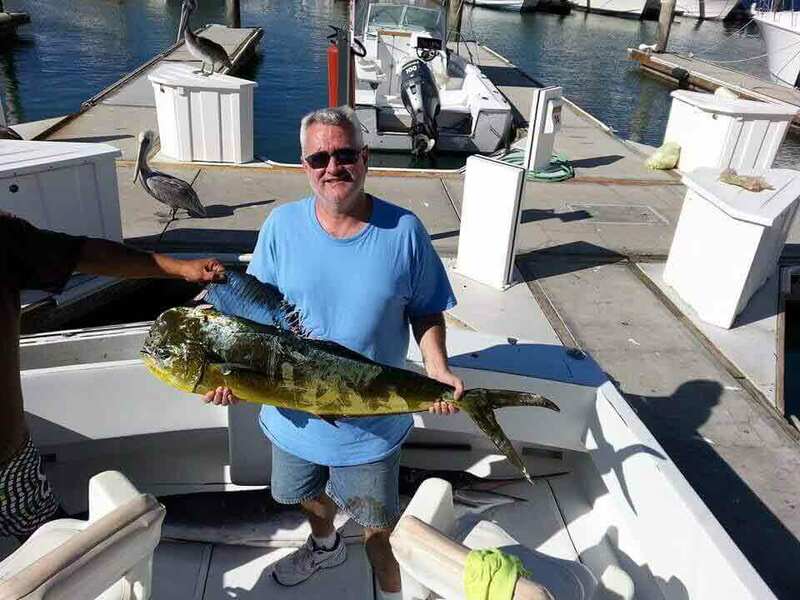 Ramon is a Captain that enjoys the hunt and enjoys putting his guest "on the fish!" I have chartered other boats in the Cabo area and have finally found one that I can recommend!" Can't wait to do it again soon Tim, Ramon is ready to go already! There you have it - straight from the horse's mouth! Now enough reading...it's time to go fishing!